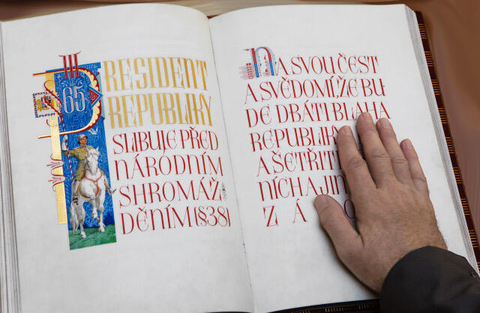 The title that reads the same as the first few words of the presidential pledge reveals the theme of the exhibition held at the occasion of the 100th anniversary of our republic. The photos taken by lead documentarists who had the opportunity of being close to one or some of our eleven presidents illustrate our one hundred years of history filled with dramatic events and tragic and joyous twists. The photographs are an extremely valuable testimony of the people whose courageous or problematic views and actions as the heads of state shape and influence the lives of entire generations. The curators Dana Kyndrova and Dusan Vesely searched in the archives of authors, agencies, newsrooms and museums. Apart from the renowned images, they also found photos that were forgotten or not yet discovered that show the eleven historical figures of our past in ways so far unseen.